When speaking in context of game content alone—it’s presumed that entries from Konami’s Silent Hill franchise and especially the under-performed Deadly Premonition by Access Games could widely be considered the Twin Peaks (and Shenmue) of gaming. These games allude to some of the themes and artistic aesthetics seen in David Lynch’s television series Twin Peaks. So how does Yu Suzuki’s Shenmue universe compare to the surreal world of Twin Peaks? For starters, Lynch is well-known for infusing unnerving scenarios and distinctive cinematography into a somewhat illogical fashion—yet entices mystery and beauty at the same time. AM2 and Suzuki planned a very cinematic approach for Shenmue that incorporated themes such as sadness, death, and revenge. In order to achieve those themes and ambitions Suzuki hired screenwriters, playwrights, and film directors. Needless to say, Shenmue is enriched with an atmosphere, sometimes haunting yet calming music, slower-than-life pacing, and strange, slightly overacted dialogue that is very similar to a David Lynch film. 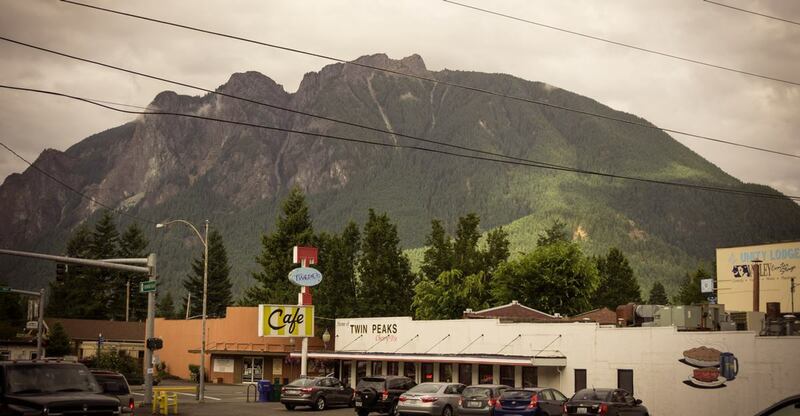 In the small cozy town of Twin Peaks, the residents must overcome the death of Laura Palmer (Sheryl Lee), a beautiful high school student with dark secrets. Like Shenmue, death sets the tone for the entire series of Twin Peaks, with the main difference in Shenmue being that the main protagonist, Ryo Hazuki must overcome and avenge the murder of his father as opposed to solving a murder. Lynch is no stranger to themes of revenge, which he incorporates into Twin Peaks. For instance, Windom Earle (Kenneth Welsh) is a character in Twin Peaks who seeks revenge on the show’s main protagonist, FBI special agent Dale Cooper (Kyle MacLachlan) for having an affair with his wife. In a series of twisted events, Earle goes bonkers, kills his wife, and attacks Cooper. 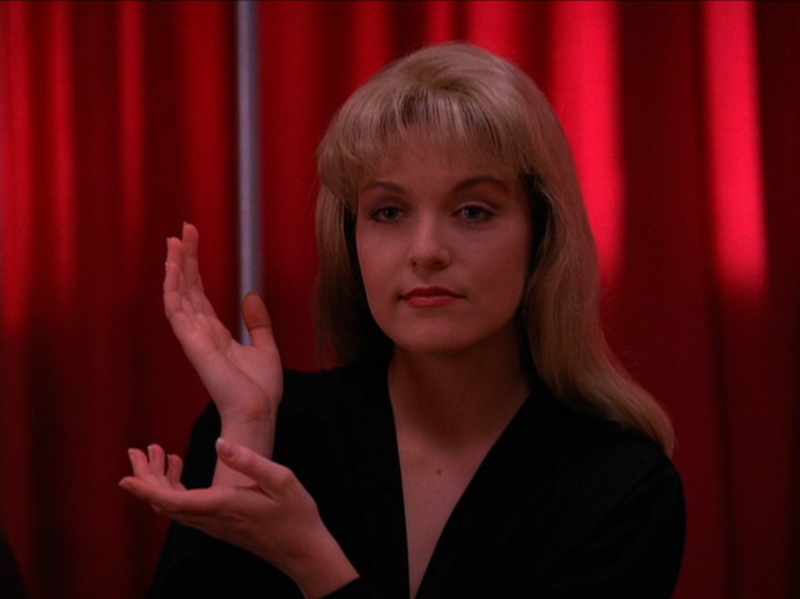 Meanwhile, Earle is fascinated with unlocking the secrets of the Black Lodge, a parallel universe connected to the White Lodge, and bridged by a waiting room aka the “Red Room,” which symbolically serves as a purgatory of sorts. Suzuki introduces the concept of the Phoenix and Dragon mirrors in Shenmue, which is similar to the Black Lodge and White Lodge used in Twin Peaks—all concepts serving as keys to a bigger picture or theme. In Shenmue, the Phoenix and Dragon mirrors must be brought together to revive the Qing Dynasty, which was conquered by revolutionaries such as the Ming Dynasty and eventually the Republic of China. Furthermore, Shenmue and Twin Peaks attracted a niche audience, which in return developed cult followings. Twin Peaks Season 2 was cancelled in 1991 due to lackluster ratings, but Lynch stayed true to the aforementioned final scene where Laura Palmer famously delivers her final words, “I’ll see you again in 25 years.” Fast forward 25 years later and here we are in 2017 with Twin Peaks: The Return. It’s no secret Shenmue fans have had to endure a long wait period as well. It’s been nearly 16 years since Shenmue II was released in 2001 on Dreamcast and Xbox. Neither installment met the financial expectations Sega had hoped for, yet the project costed the company $47 to $70 million. Thanks to a Kickstarter in June 2015, Shenmue III was finally able to come to fruition. In relation, both series ended with cliffhangers that are hopefully set to conclude long awaited closures in the current Twin Peaks: The Return on Showtime and the upcoming Shenmue III in development by YS Net, which is set to release in 2018. Hopefully a 25 year time frame isn’t the case for Shenmue III. John's first glimpse into gaming was with the Sega GameGear in ’94. His first game ever was Ecco the Dolphin. It was around this time he developed his love for the 90's cartoons based on Sonic the Hedgehog. He favorite Sega games include; NiGHTs, Panzer Dragoon, Shenmue, and Sonic. Currently, he is finishing his degree in Multimedia Studies & aspires to become an accomplished 3d animator/ modeler.